The performers who take the stage for TAO are both highly trained athletes and highly expressive artists. TAO’s modern, high-energy performances showcasing the ancient art of Japanese drumming have transfixed audiences worldwide. 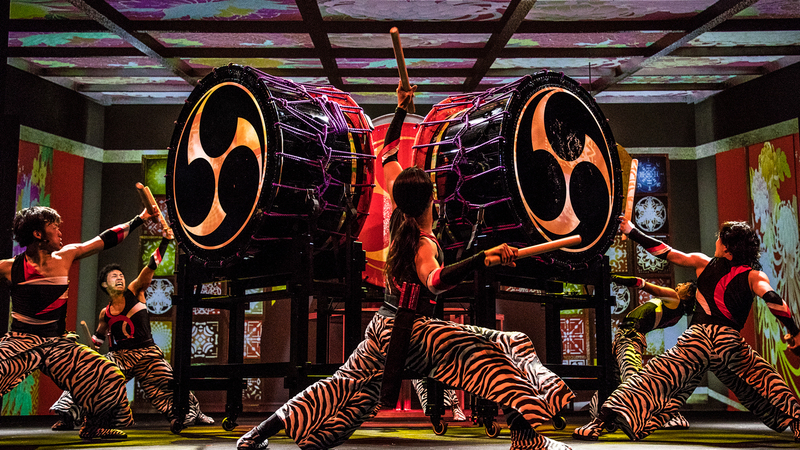 Combining ultra-physical, large-scale drumming with contemporary costumes, dynamic choreography, and innovative visuals, the performers of TAO create an unforgettable production. Established in Japan’s Aichi region in 1995, TAO’s creative production center is now on Kyushu Island, site of the legendary Aso Kuju National Park.